With the popularity of my last cake decorating post I decided it was necessary to find even more spectacular cakes. Similarly, to that last post, I found more how to guides with decorating and have put them all right here. This time I gathered a few more difficult but not out of the realm of possibility for a beginner cake decorator. These cakes are stunning and will impress anyone who sees them. Additionally, you can use pretty much any cake recipe. Check out my post 35 Delicious and Beautiful Cake Recipes. As with all cake decorating practice makes perfect. 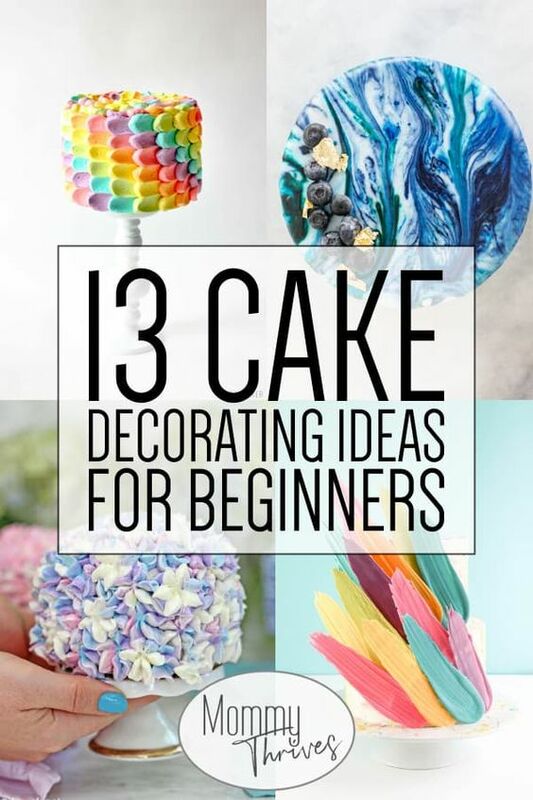 You can always make a bunch of mini cakes to try out these techniques and practice them. Additionally, practice will make everything a lot easier when you go to prepare a cake for the main event. Finally, you should absolutely experiment with these cake decorating ideas. Mix and match decorating techniques. For instance, the watercolor cake with the feather brushstroke pieces would look absolutely amazing. Make sure you check out some recommending products every cake decorator should have. Let’s go ahead and get into the most stunningly decorated cakes.